With increased computing power comes increased access to large amounts of freely accessible data. People are tracking their lives with productivity, calorie, fitness and sleep trackers. Governments are publishing survey data left and right, and companies conduct audience testing that needs analyzing. There’s a lot of data out there even now, ready to be grabbed and looked at. 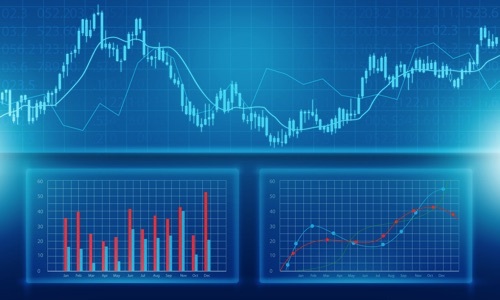 In this tutorial, we’ll look at the basics of the R programming language – a language built solely for statistical computing. I won’t bore you with Wikipedia definitions – instead, let’s dive right into it. In this introduction, we’ll cover the installation of the default IDE and language, and its data types. Both are free, both open source. 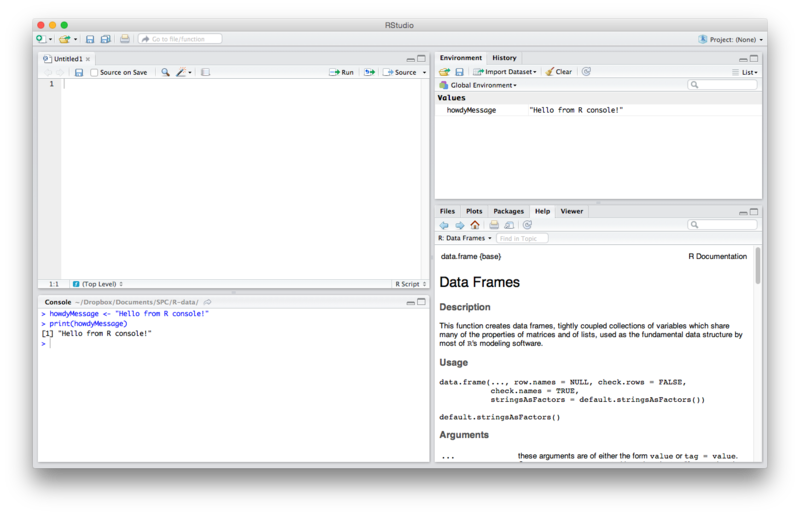 R will be installed as the underlying engine that powers RStudio’s computations, while RStudio will provide sample data, command autocompletion, help files, and an effective interface for getting things done quickly. You could write R code in simple text files as in most other languages, but that’s really not recommended given how many commands there are and how complex things can quickly get. After you’ve installed the tools, launch R Studio. Let’s briefly explain the GUI. There are four main parts. I’ll explain the default order, though note that this can be changed in Settings/Preferences -> Pane Layout. The top left quadrant is the editor. It’s where you write R code you want to keep for later – functions, classes, packages, etc. 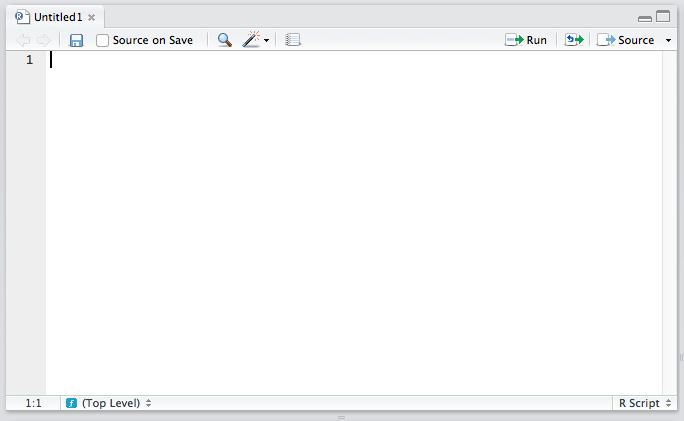 This is, for all intents and purposes, identical to every other code editor’s main window. Apart from some self-explanatory buttons, and others that needn’t concern you at this starting point, there is also a “Source on Save” checkbox. This means “Load contents of file into my console’s runtime every time I save the file”. You should have this on at all times, it makes your development flow faster by one click. The lower left quadrant is the console. It’s a REPL for R in which you can test out your ideas, datasets, filters, and functions. This is where you’ll be spending most of your time in the beginning – it’s here that you verify an idea you had works before copying it over into the editor above. This is also the environment into which your R files will be sourced on Save (see above), so whenever you develop a new function in an R file above, it automatically becomes available in this REPL. We’ll be spending a lot of time in the REPL in the remainder of this article. The top right quadrant has two tabs: environment and history. Environment refers to the console environment (see above) and will list, in detail, every single symbol you defined in the console (whether via sourcing or directly). That is, if you have a function available in the REPL, it will be listed in the environment. If you have a variable, or a dataset, it will be listed there. This is where you can also import custom datasets manually and make them instantly available in the console, if you don’t feel like typing out the commands to do so. You can also inspect the environment of other packages you installed and loaded (more on packages at a later time). Play around with it – you can’t break anything. History lists every single console command you executed since the last project started. It is saved into a hidden .Rhistory file in your project’s folder. If you don’t choose to save your environment after a session, the history won’t be saved. The bottom right panel is the misc panel, and contains five separate tabs. The first one, Files, is self-explanatory. The Plots tab will contain the graphs you generated with R. It is there you can zoom, export, configure and inspect your charts and plots. The Packages tab lets you install additional packages into R. A brief description is next to each available package, though there are many more than those listed there. We’ll go through package repositories in a later post. The Help tab lets you search the incredibly extensive help directory and will automatically open whenever you call help on a command in the console (help is called by prepending a command name with a question mark, like so: ?data.frame). Finally, the Viewer is essentially RStudio’s built-in browser. Yes, you can develop web apps with R and even launch locally hosted web apps within it. 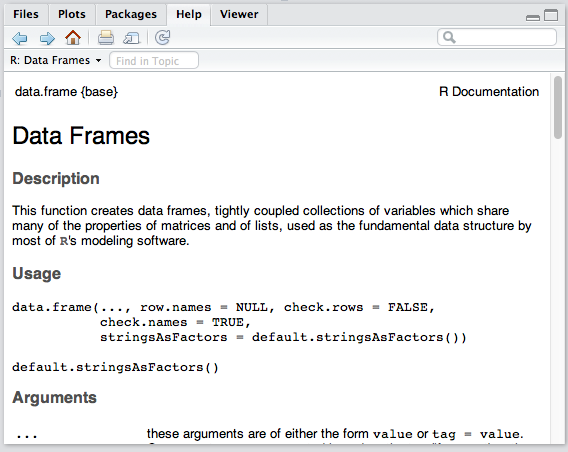 RStudio comes with some datasets for new users to play around with. 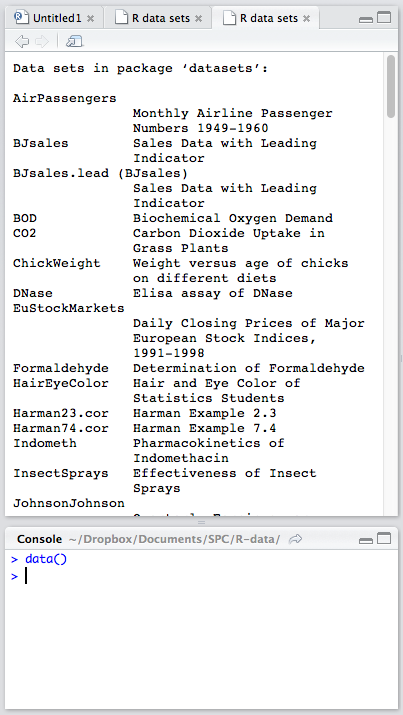 To use a built-in dataset, we load it with the data function, and supply an argument corresponding to the set we want. To see all the available built-in sets, punch in data(), without an argument. Note: We’ll be using the former approach, simply because it’s less typing. Remember – in R, the last value that is typed out without being an expression (like assigning or summing something) is what gets auto-printed to the console. The numbers will be produced in the console, and the Environment entry for women should change. You should be able to see the data in the environment panel now, too, by clicking the blue expand arrow next to the variable name. This set only has 15 entries and as such offers nothing of value, but it’s good enough for playing around in. summary will output a summary about the set’s columns. In the case of the women set, we have two numeric columns (both columns are numeric, or in other words, each column is a numeric vector – more on data types and vectors later) and R knows that when you ask it for an analysis of a numeric vector, it should give you the typical values for such collections: the minimum value in the set, the mean (average) between the minimum and the mean, the mean (average of all values), the mean between the mean and the maximum, and the maximum, the largest number in the column. It does this for both height and width. For different types of vectors (like ones where every element is a word instead of a number) the output is different. str str is a different kind of summary. In fact, str stands for “structure” and it outputs a summary of a data set’s structure. In our case, it will tell us that it is a “data.frame” (a special data type we’ll explain later) with 15 obs (observations or rows) and 2 variables (or columns). It then proceeds to list all the columns in the data frame with some (but not all) of their values, just so we get a grasp on the kind of values we’re dealing with. dim gives you the dimensions of a data set. Calling dim(women) gives us 15 2 which means 15 rows and 2 columns. length can be used to count the number of vertical elements in a set – in vectors (see below) this is the number of elements, in data sets like women, this is the number of columns. You’ll be using these functions a lot, so I recommend you get familiar with them. Load some of the other data sets and inspect them like this. No need to know them by heart – this post and the help files will always be around for reference, but it’s nice to be fluent in them anyway. R is, however, very forgiving and will let you use the = assignment operator in top level environments like the console, if you don’t feel like typing out the arrow every time. I suggest you get used to the arrow, though, you won’t get very far without it. To check the type (or class) of a variable, the class function can be used (though str from above does almost the same thing): class(myString). Atomic classes are basic types from which others are constructed. The character class is your typical string, a set of one or more letters. > myString <- "Hello World"
The  will be explained below, in the Vectors section. Corresponds to “float” in other languages – indicates numeric values like 10, 15.6, -48792.5498982749879 and so on. Another “number” is NaN which stands for “Not a Number”. This is what you get when you do something like 0/0. but if you then try to coerce that number into an integer, R will discard it because it simply cannot make integers that big. Instead of a number, you get “NA”, which is a special type in R indicating “Not Available”, also known as a missing value. The NA is still of a type “integer”, but one without value. Explaining complex numbers is a bit outside the scope of this tutorial, particularly if you weren’t exposed to them in school, but if you’re curious, you can find out more here. They take the form of a + bi where a and b are real numbers and i is imaginary. In R, they’re constructed with a special complex function. You won’t be needing those nearly as often as you might need the other types, but if you want to know more about the complex function just call for help on it: ?complex. Logical types (booleans) are the same as in most other languages and can be two things – either true, or false. True can be represented with TRUE or T while false is, predictably, FALSE or F.
Whenever you create an expression the result of which is a “yes” or “no” value, you get a TRUE or FALSE – like in the case of 5 > 6 above. 5 is not greater than 6, so the expression becomes FALSE. Comparing myComparison to FALSE thus yields TRUE because the myComparison variable indeed contains a value of FALSE. When needed by a function, logical values will be coerced into numerics. This means that if I write 1 + TRUE the console will produce 2, where as 1 + FALSE gives 1. Likewise, we can easily coerce other types into logicals (as.logical(myVariable)). Any numeric or integer with a value not equal to 0 or NA will give TRUE. 0 and 0L will give FALSE. Strings like “True”, “TRUE”, “true” and “T” will be turned into TRUE, “False”, “FALSE”, “false” and “F” will be FALSE. Any other string will coerce into a logical NA value. Higher types are types composed of the lower ones. "One"      "Two"      "Three"    "Four"     "Five"     "Six"      "Seven"
 "Eight"    "Nine"     "Ten"      "Eleven"   "Twelve"   "Thirteen" "Fourteen"
The number in square brackets simply means “The element after me is Nth in the set”. It is there purely to make the output more readable, and does not affect actual data. Like with vectors, the one-dimensionality rule applies. Adding a list into another will merge their elements. The result gets returned as a numeric vector. Check its class with class(women$height). The head function tells R to only return the first 6 results – this is so we keep our console nice and scroll-free, excellent for brief looks into datasets without printing them out in their entirety. (The opposite can be achieved with tail which prints out the last 6 results). We can see here that when accessing the column with single-square-bracket  we get a dataframe but with one less column. If, however, we access it with the double-square-bracket [], we get a numeric vector of heights. The data returned by using the single bracket stays the same type as the parent data, while the double bracket accessor targets the specific values in that column and returns them in their most rudimentary form, a numeric vector. Here we created a sample men dataset not unlike the women set from before. What happens if the number of values provided doesn’t match the number of cells? Here we created a numeric vector of 15 sequential numbers (in such cases, we can omit the c). The dim attribute did not exist on it, as evident by the dim function returning NULL, so we changed it by assigning a numeric vector of 3, 5 to it. This resulted in a reshuffling of the elements to fit into the newly constructed matrix. We then changed the dimensions again by inverting the number of columns and rows to 5, 3, which again produced a different matrix. Finally, nullifying the dimensions produced the numeric vector from the beginning. Levels lists out the unique elements in the factor. The table function grabs a factor and builds a table consisting of the various levels in the factor, and the number of their occurrences in the factor. I personally haven’t found a use for factors yet in my projects, but I’m learning about them. ?function where “function” is the function name. When learning a programming language, it is customary to teach data types first, logical operators second and control structures third before moving into advanced things like functions and classes, but in this case, I believe we’ve laid a decent enough foundation to jump straight into the fire and learn by example. We’ll cover all that on real, practical data – but only if you’re interested. Let us know what you thought about this post – comment below, reshare it, or just “heart” it in the forums – if there’s plenty of interest in learning R in our SitePoint audience, we’d be more than glad to go into detail. This is very intriguing. When I was studying at Cornell I used to get a taste of the programming language R, which is used for statistics in a transportation engineering course. It was very good read, thanks. Thanks! More R stuff coming soon! Thank you for sharing us your ideas on R and Rstudio. Looks great! Thanks so much for this article and looking forward to future posts. Would really love seeing how to use functions effectively and using custom functions based on existing functions and libraries.